I know very well that God plans better than I do, especially since most of the things that shaped me as a person occurred following events I haven’t and couldn’t possibly have planned. Yet I know that I play a large part in this plan since I have faced each challenge successfully thanks to a number of skills learned through my own will and dedication. Thus, I continuously strive to gain new skills and take every opportunity to make plans (here and here) to achieve personal goals. Lately, I have been listening to Muslim Life Hackers‘ first few podcasts (1–10), out of which I particularly recommend: #05: Why Habits & The Easy Way to Start One, #10: The Truth About Motivation, and #04: Importance of Mornings and How to Become a Morning Person. These, along with a desire for self-improvement and the success of my Ramadhan 2015 plan, have inspired me to try and create my own New Years’ plan for 2016. I began by writing my 5 main goals for 2016 and then expanded on the what, why, and how, breaking down bigger goals into smaller steps. Observe the Contact prayer [salaat], and contribute towards betterment [zakat], and bow with those who bow. What: I keep trying to pray all 5 ritual prayers and I plan on continuing to try until I reach that point but I would be lying if I didn’t admit I find a 1000 different excuses not to (may God forgive me [AstagfurAllah]). My goal, once again, is to make a habit of performing the 5 ritual prayers. Why: The ritual prayers are considered by many Muslims to be one of the five pillars of Islam (1–faith [Shahada], 2–prayer [Salaat], 3–charity [Zakaat], 4–fasting [Siyaam], 5–pilgrimage [Hajj]). Last Ramadhan, I created a prayer pamphlet but I still find that performing ritual simply because I should has hindered my ability to connect with the act of worship. So lately, I have taken to pondering on the meaning of prayer. To me, ritual prayer includes remembrance (reciting chapters of the Qu’ran), gratefulness (citing God’s greatness, especially while bowing [rukù]) and requesting favours (personal requests while prostrating [sujood] and favours upon Prophet Mohammad while sitting). I have always found that I achieve great personal peace when my prayer is dedicated to gratitude, so for 2016, during prayer, I want to shift my focus from “performing a mandated ritual” to “pondering my blessings and showing my gratitude”. How: Breaking down this goal seemed relatively easy: since there are 5 prayers, let’s start with doing at least one per day. Ideally, I think starting the day on the right foot might be ideal so I aim to pray Fajr every day. I will obviously aim to pray as many times as possible, but I figure, 1 per day minimum starting with Fajr and then as the months go by, I will be aiming higher and higher until I should be in the habit of performing all 5 by year end and maybe some of the voluntary prayers too! I have created my own Daily Planner for 2016 (featured image) which includes the local prayer times for each day (left). This planner is small enough to fit in my wallet, which means I will have it with me most if not all of the time. Since I also keep a pen in my wallet, I will be checking off each prayer I have completed. This will be a visual reminder and motivator to achieve as many prayers as possible. For whomever We grant a long life, We weaken him in body. Do they not understand? What: I used to be much more active and over the past several years I have greatly decreased my amount of physical activities. I want to introduce a new range of physical activities including home workouts, outdoor activities and gym-intensive trainings in hopes of losing weight, gaining strength and improving my cardio. Why: I have gained some weight over the past few years and, while I still feel super fabulous, I do notice that I’m more easily out of breath, have reduced strength and less energy during the day. I also have become lazy when it comes to outdoor activities so I want to amp that up as a way to see some of nature’s wonders somewhere else besides my TV screen. How: I’m breaking this down in two ways – exercise and outdoor activities. I want to do a 15–30 min strength training every morning and 1 outdoor activity per week. I have a home workout bench and some loose weights that I have thoroughly failed to use. I will finally make use of them following a workout routine I created based on this workout schedule and images found mostly on WorkoutLabs. As you will note, I have yet to add the weight to be lifted because I feel it necessary to test it out. I will be progressively increasing the weight as the months go by. I may also have to alter some of the reps on these depending on my abilities; starting low seems like a sure fire way to make sure I don’t give up before it begins. As for the outdoor activity, I have a friend of mine who is willing to make plans with me so that we can both get healthier. We are putting together a list of activities and hoping to get them all done, one per week. Things like ice skating, hiking, snowshoeing, skiing, etc. What: Same as the working out, I have noticed that my eating habits have contributed to my poor health. I want to improve my food intake by making more meals at home and eating 3 full meals per day. Why: On top of the weight gain I’ve experienced over the last few years, I’ve also noticed I have less energy and crave more and more sugars – often caused by a lack of healthy carbs and other slow-burning sugars. I’ve also been purchasing an increasing amount of fast or prepared foods, something that has affected both my health and my finances. 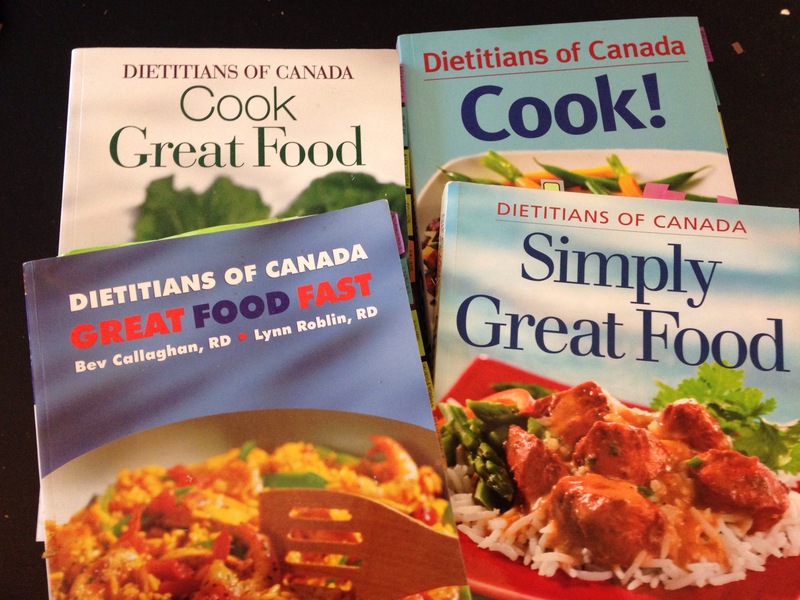 How: Many years ago, I invested into Dieticians of Canada recipe books. These books include a number of tasty and nutritious meals. I know that cooking healthy meals everyday can be quite the chore so my goal is to start making ONE large-scale meal per week, preferably on the weekend. I have a good sized freezer so keeping these foods should be easy. Things like doughs, sauces and meats can easily be stored and used in a number of recipes. For large recipes, I will make use of my beloved slow-cooker. My 3L slow-cooker has saved me more times than I’m willing to admit. I’m excited to make delicious food. I also want to break down my goal of eating 3 meals per day by beginning by one homemade breakfast every morning. Since I own one of those single portions blenders, I plan on buying frozen fruits and prepping single portion smoothies for the week so that my breakfast requires only a quick blend and away I go! No more excuses for skipping this important meal! What: I have been maintaining LoveGodDiversity for the past 3 years, and I want to continue writing better think pieces. I am hoping to publish longer pieces (1000+ words) on a regular basis. Why: Hanging out with my girl Eren of Identity Crisis (and contributor for Muslimah Media Watch and Love InshaAllah) has given me a serious push to write more and better. I am aware that my background is very unique and my experience can serve to educate and inspire. How: I’ve recently discussed with LezTalk about the possibility to publish a column about growing up straight in the LGBTI community. We are hoping to launch the column in early 2016 and post bi-weekly. I have already laid out the groundwork for the column and aim to write 500 words per day until I complete at least 3 of the 8 columns ahead of schedule. Since I expect most columns to be approximately 1000–1500 words, I should be able to complete the first 3 columns within two weeks. As for this blog, I currently have 6 articles I am drafting at once and since I am quite far along in a few of those, I hope that minimal work will allow me to have them published on the weeks I am not writing for LezTalk. Once I have my head start, it will be easy to write one article per week. What: I want to start waking up in the early morning to achieve all of my goals. Why: I began by mentioning Muslim Life Hackers‘ podcasts and part of their hacks advised to combine habits with something you already do. Since I am not much of a morning person, I found it hard to find anything I could combine with the morning prayer [Fajr]. So, instead of finding different things for each goal, I decided to combine all of my goals with the morning prayer. How: I currently wake around 8 a.m. which is late as the morning prayer is currently between 6:12 a.m. and 7:42 a.m. I know this prayer will only get earlier and earlier (earliest will be in mid-June: between 3:16 a.m. and 5:14 a.m.) so I have decided to wake each morning at 6 a.m. for a 2-hour window before leaving for work and progressively wake earlier. My 2015 was filled with ups and downs, great friendships, and moments of high and low spirituality. I am grateful for making it through in such great company but I thoroughly hope that 2016 will be less tumultuous and filled with much more light. I would be remiss if I did not mention that all of this will not be possible without God’s Will so I pray and hope for everyone to have a prosperous and healthy 2016, inshaAllah.